Go straight to the heart and soul of the Mighty Maiden the group that was at the forefront of the New Wave of British heavy metal in the '80s ... and is still going strong. Here is their full story in glorious detail complete with photographs of posters flyers and backstage passes and rare images of the band's most high-profile gigs and iconic moments. In addition to an album-by-album account of all their studio recordings it includes biographies of the most notable members and a decade-by-decade history of the band. 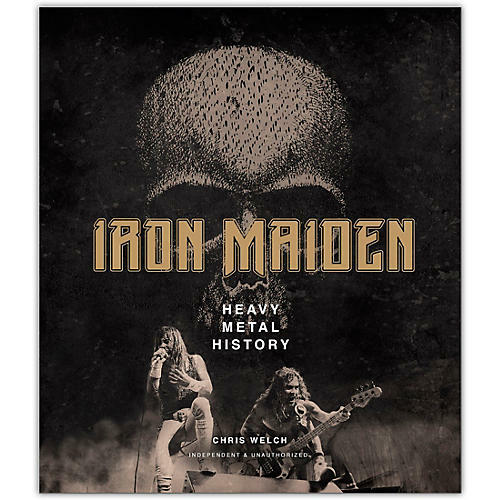 Written by a leading music journalist who has interviewed the band many times Iron Maiden is a fantastic tribute to the iconic band and a fan must-have.